‘Tis the season to be jolly’ and, let’s face it, tis sometimes the season to be tipsy. Yes ladies and gentlemen, it’s that time of year again… when holiday festivities begin! 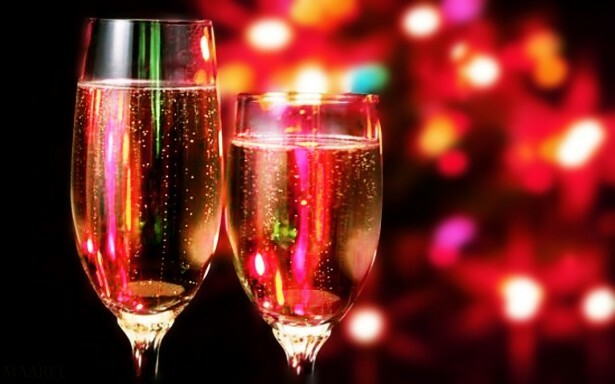 Whether it’s a Christmas or New Years’ Eve party, alcohol is usually a staple. Even though you’ve been working hard to stay on track and maintain that enviable physique, you have to admit that it will be near impossible to resist that glass of bubbly at the next holiday cocktail party. Although you’ve read that alcohol really hinders weight loss, you may not know exactly how it affects your body. Your body needs essential nutrients, like vitamins and minerals to properly function. Alcohol, of course, doesn’t provide any of these nutrients but instead is chalk-full of empty calories and sugar. Your liver’s job is to metabolize the essential nutrients that you consume and move the calories through your system. When you add alcohol into the mix, your liver will prioritize burning through the alcohol over the nutrients, because there is nowhere for your body to store the empty calories. The result? Your metabolism slows down while your liver focuses on the alcohol and this, in turn, leads to weight gain. A glass of water between drinks is key. This will not only keep down the number of drinks you consume but will also keep you hydrated and prevent a hang-over the next day. Before your first drink, make sure you have a healthy meal combining fat, protein and carbohydrates. This will keep you full and you’ll be less inclined to over-drink because of hunger. Have you ever wondered why bars always serve salty snacks? Well, the more salt you consume, the thirstier you become! The result? You keep reaching for another glass of wine or bubbly. Just say no to the high calories in mixed drinks like eggnog and cocktails. Be the designated driver. It will be an added incentive for you to control the drinking situation. However you choose to enjoy this holiday season, just make sure that it will be a safe and healthy one!